Occ(you)py Boston Diaries | Get Involved!!! When I left the tent city on Friday, I promised that I would return today. For the time that I was busy with my family this weekend, the Occupiers were constantly on my mind. I wanted to be there. I followed the student march closely online and when I heard of the conflicts with the police, I began to worry. For the rest of the evening, I read Twitter updates and other posts about the threat of a further police crackdown. I was really concerned. It must have been obvious because while I was playing a game with my daughter, she asked me if everything was okay. To be honest, I don’t know how to explain all of this to her. I’m usually very good at communicating with my child but I have so many emotions invested in this movement and what it means for her future that my words are failing me right now. I slept horribly last night. 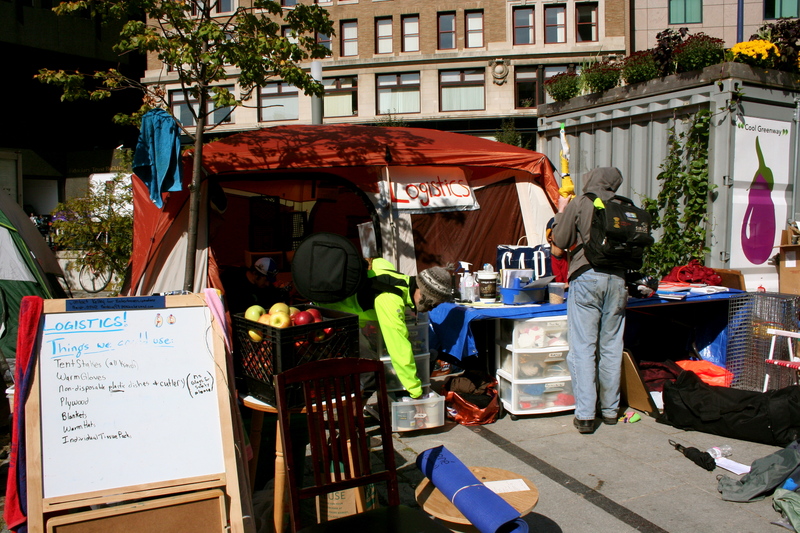 I’ve heard reports of major police raids on other Occupy cities (San Francisco, for example). Things did get ugly at around 4:30 this morning. 18 police vans came and the cops were wearing riot gear. 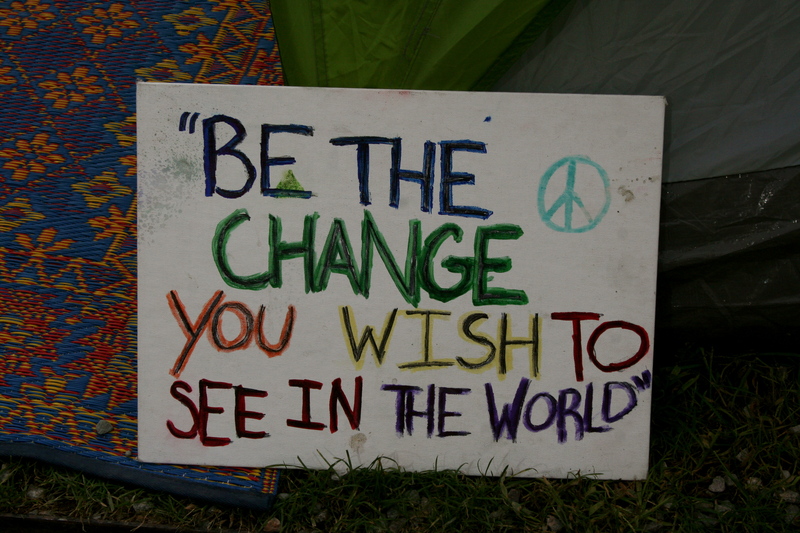 All of the tweets from Occupy Boston stressed peace and nonviolence. The Veterans for Peace stood between the Occupiers and the police at one point. A 74 year old Vietnam vet was pushed to the ground which is such a shame. The Occupy Movement is getting a bit of a bad wrap in the press. These aren’t just a bunch of spoiled kids or dirty hippies. There are people of all ages and backgrounds here. Each time I have been there, I’ve been treated with nothing but respect and the vibe has been very positive despite the obvious struggles. People help and encourage each other. 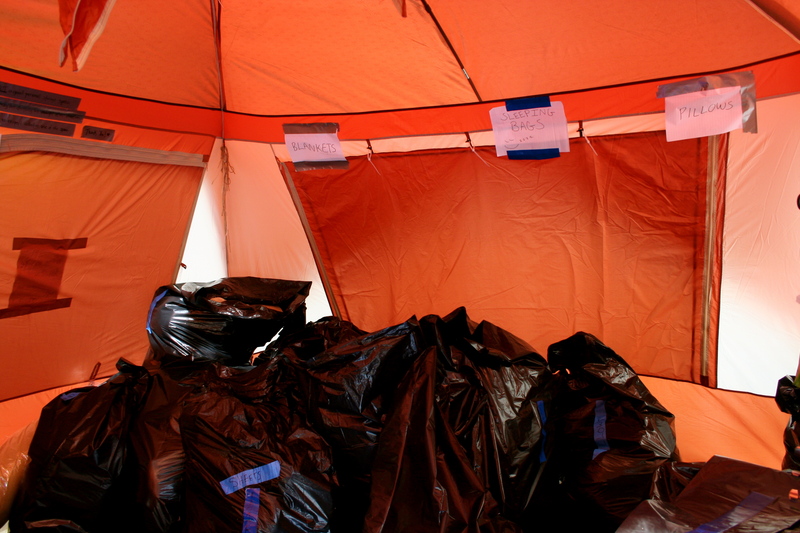 There is conscious effort to keep the camp as clean as possible. There are recycling and compost bins. People volunteer for jobs such as emptying trash and washing dishes. I also have to give the Boston Police Department some credit. Overall, I have nothing but positive things to say about the way they have treated this movement. Most of the people at the camp are aware that they are following orders and sympathize with the fact that they are the 99% as well. Things were tense when I arrived this morning at around 8:45. There were way more cop cars than I usually see there. As the morning went on, they left and the few that remained seemed to ease up a bit. I don’t think anyone wants a repeat of last night. 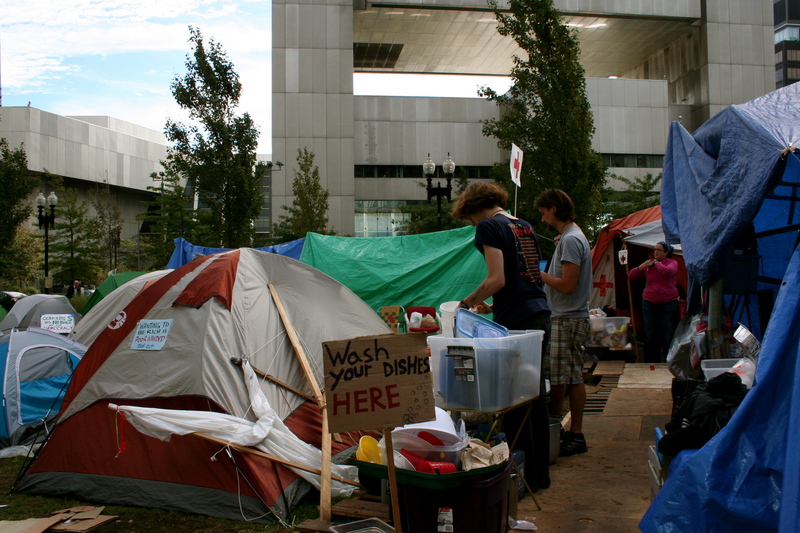 The Occupiers had expanded to a new site and were pushed back to the original tent city. The police did take some of the medical supplies and some folks got hurt. All of the people I met last week were still there. I was happy to see them. I was sorry to hear of the high number of arrests. People are collecting bail money. I was especially moved to meet a group of Wall Street Occupiers who came up last night after they heard what was happening. 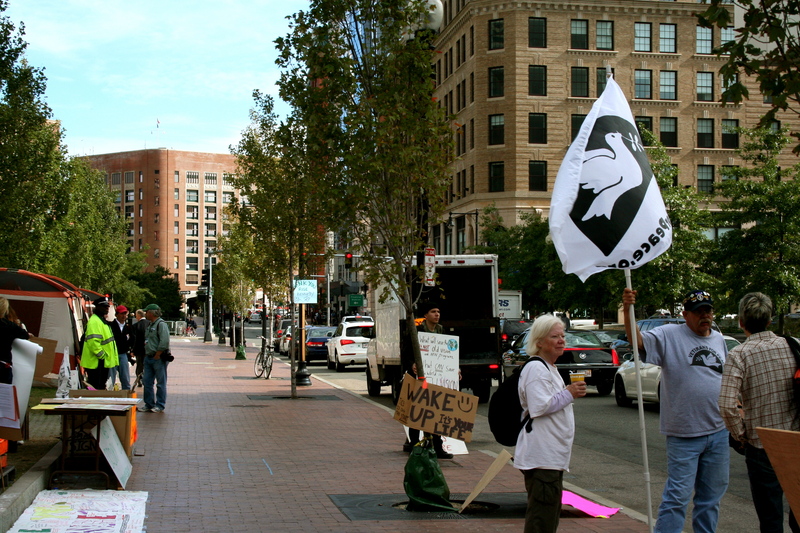 They were going to go to court house today where some of the Boston Occupiers were being arraigned to show support. The camp is still determined to maintain peace. Many of the campers got only 3 hours of sleep last night. They were shaken up but still very resolute. Something that they do here is what is called a Mike Check. Someone who needs help or the attention of others will call out “Mike Check!” and the surrounding campers will echo back. When enough people are answering, the caller will state his or her request or dispense an update. Everyone will repeat it so that all can hear. One of the women that I was working with today incorporated the Mike Check a few times to ask for someone to go to South Station to get water and also to request help with the dishes. I was volunteering in the food tent today. We try to discourage people from preparing their own food in order to contain the spread of germs and to keep the area as clean as possible so I made bagels for people as well as peanut butter and banana sandwiches. I was amazed at how popular those were! Several of the tent city residents are homeless and one of the older gentlemen exclaimed that he hadn’t had a peanut butter and banana sandwich since he was a kid. I tried to imagine what I hoped was a happy childhood. I am sure he had no idea how his life would turn out while he was eating that sandwich. How many of us are a pink slip or a medical emergency away from losing our home? 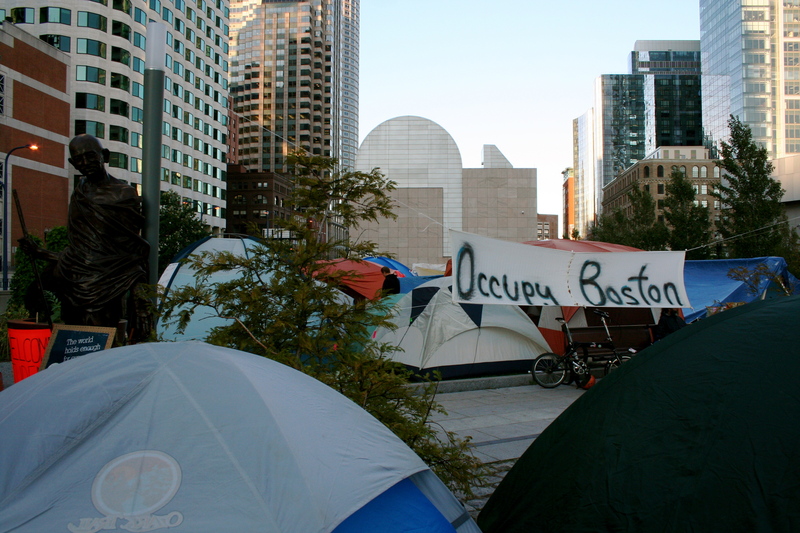 I’ve been catching wind of the Occupy Boston Movement for a few weeks now. They made a strong showing at the HONK! Festival last weekend in Harvard Square. I was there with my child. I started following their Facebook page and getting more and more curious. I’d already been digging up news about the Occupy Wall Street Movement and winced at the reports of extreme police brutality. One of the bands at HONK!, the Rude Mechanical Orchestra, said that they were planning on camping out at Wall Street upon their return back home to New York City. The courage and resolve of these people humbles me. 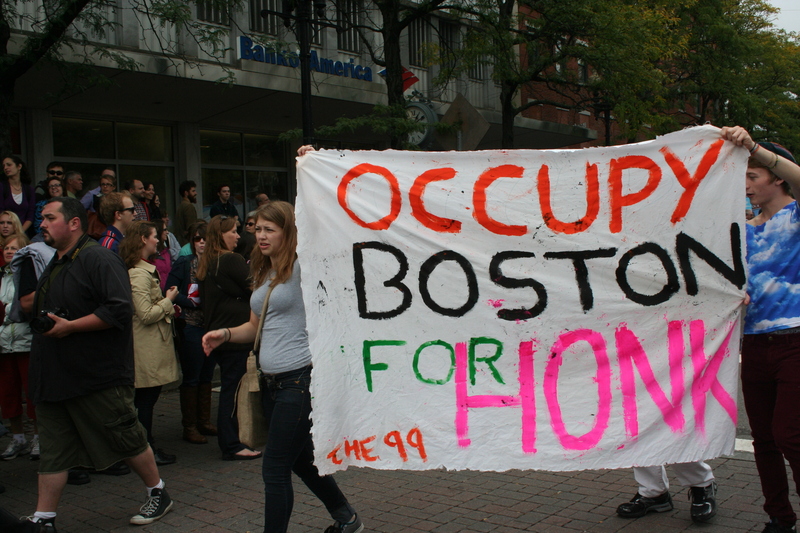 There have been mixed reports from the local media about Occupy Boston. Earlier this week, they gave off the impression that it was still somewhat paltry. 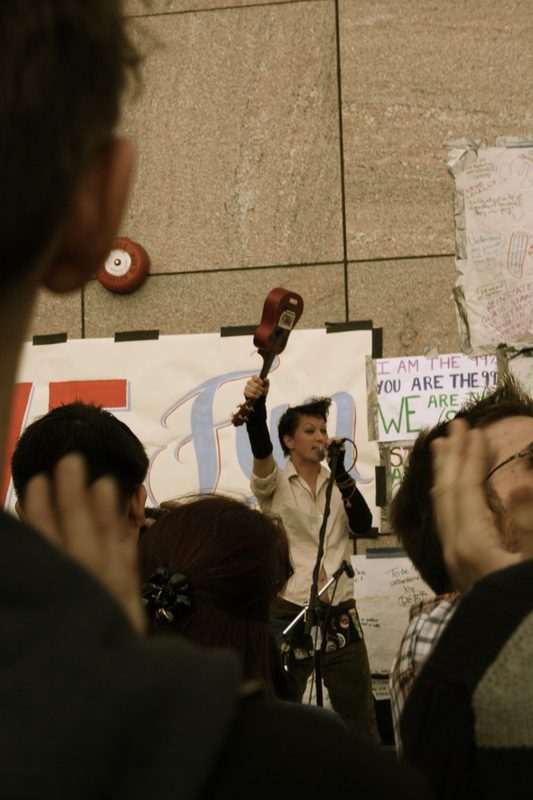 I heard of a scheduled appearance by Amanda Palmer (a local musician and performance artist) at Dewey Square yesterday and realized that this was much bigger than I’d realized and that I couldn’t put off seeing it for myself any longer. When I climbed out of the South Station T stop, I couldn’t believe my eyes. I almost wept. I am one of those people who often loses sleep about the state of the world and the direction it is going. I am often seized with fear for what life in this country will be like for my child when she is an adult. It’s very easy to feel like I am alone and powerless in this. I know I’m not but these emotions aren’t always based on reason. The HONK! Festival was a huge eye opener for me. Those banners that paraded down Massachusetts Avenue might as well have read You are not alone! It was a glorious feeling! That was also how I felt as I made my way through the camp site. I was energized! I knew I had to help! The organizers seem to be a bit overwhelmed by the outpouring of donations and offers to volunteer. It’s a good problem to have! I returned to Dewey Square this morning and went to the Logistics Tent. It had been moved overnight. The guy in the bright yellow jacket seems to be one of the major organizers and after I introduced myself and shook his hand, he put me straight to work. I was already familiar with the layout of the camp since I’d wandered around a bit yesterday. I delivered donated supplies to the kitchen, the medical tent and the Free Free Market which is a tent full of donated clothing that the residents are allowed to help themselves to. Occ(you)py Boston Diaries · Get Involved!! !